…The one thing I had a hard time replacing in casseroles and soups was cream of mushroom soup. But I found a great recipe that works great for me, so no more cream of mushroom cans from the store. Well, you know I had to ask Heather about her substitute. She kindly agreed to share her recipe here. Thanks, Heather! 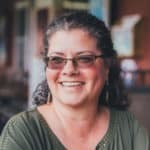 I have been on a real food journey for over twenty years now, and I am always looking for ways to make inexpensive, healthy versions of things that sit on many people’s pantry shelves. In the last couple of years I have become even more concerned with where my food comes from. Is it sustainably grown? Is my money benefitting the farmer that produced the food or a bunch of middlemen and marketers? By making my own versions of products, not only do I cut down on packaging, I know exactly what my family and I are eating. 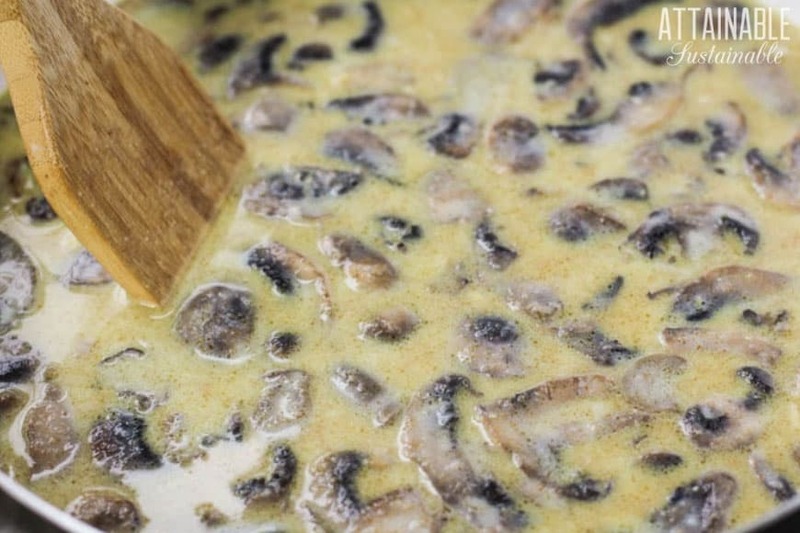 One of my favorite and most versatile substitutes is this cream of mushroom soup recipe. 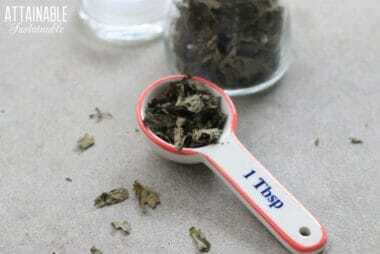 This can be used in casseroles, as a gravy or sauce, or as a base in soups. I hope you find this as helpful as I have over the years. 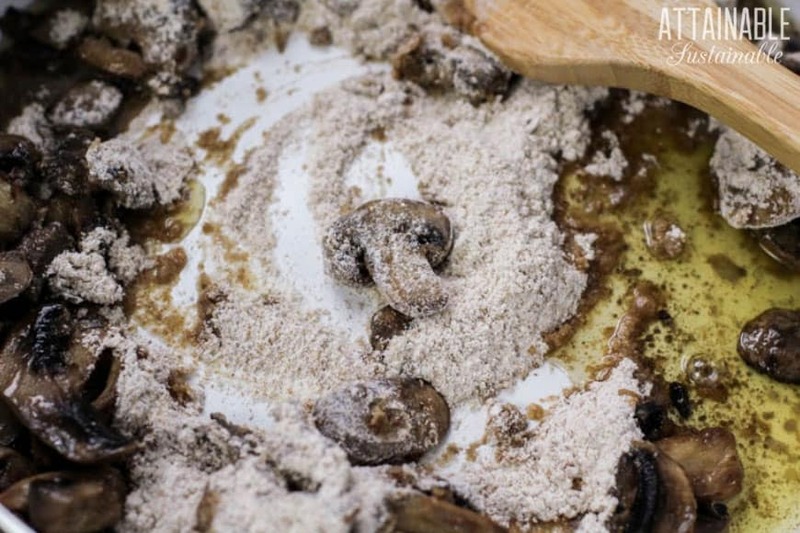 ★ Did you make this easy mushroom soup recipe? Don’t forget to give it a star rating below! 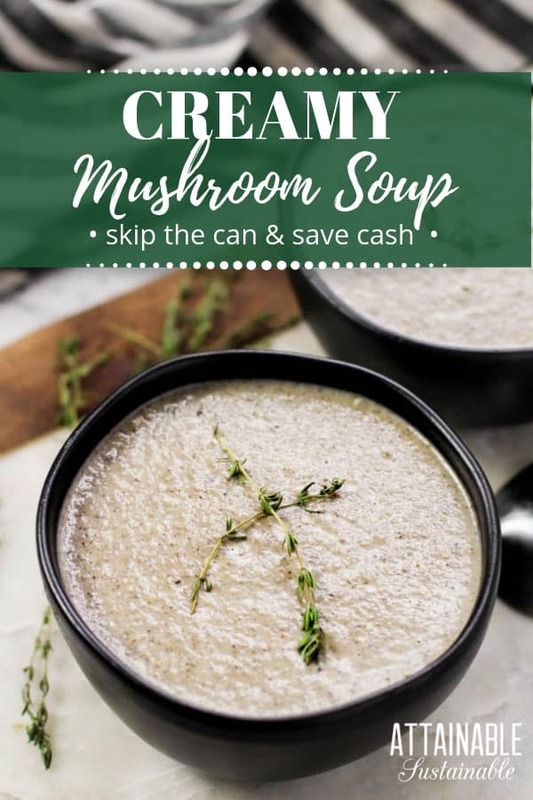 No cans needed once you see how easy this mushroom soup recipe is. Heat a skillet on medium heat then add the butter, mushrooms, and garlic to the pan. Saute mushrooms until browned slightly. Add the flour and stir for about one minute. Slowly add liquids, stirring constantly to avoid clumping. Stir in seasonings. Simmer until heated through and thickened. Serve, or use in your favorite recipe. 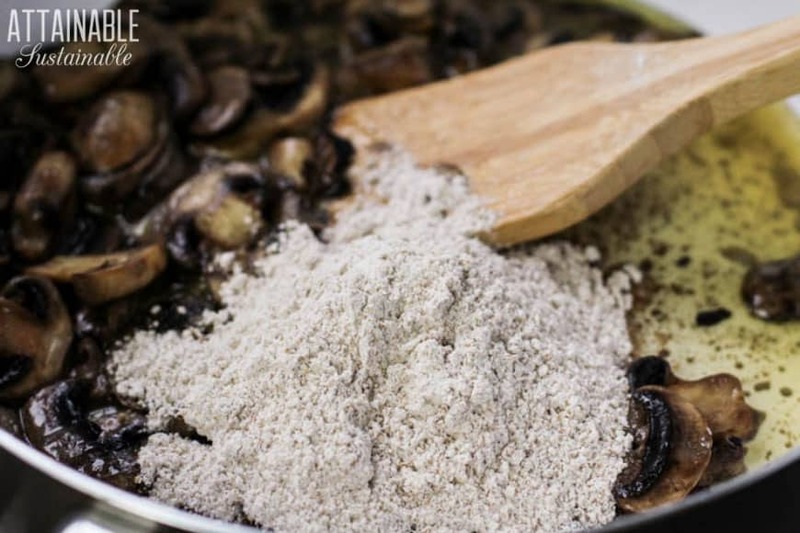 For a very nice mushroom-wine sauce, add ¼ cup white wine. This creamy mushroom soup is excellent over chicken breast and brown rice. 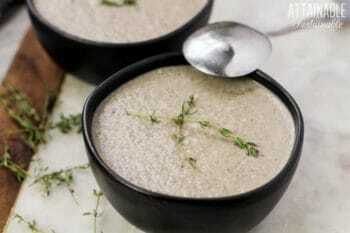 This creamy mushroom soup recipe holds up well refrigerated. I have never tried to freeze it by itself, but I have frozen casseroles using it, and they reheated fine. Perfect! This is just the recipe I need for this week, I am in soup mode at the moment and mushroom is one of my absolute faves : ) Love making it with home made stock, lard and cream. I’m just wondering if there is a reason for the onion powder rather than using onion? Great recipe! I look forward to using this one! 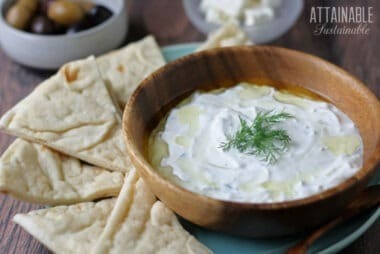 Super easy to make and yummy as well.